Happy Friday....today, we are collaborating with My Favorite Things!!! You know when you say something you shouldn't have or react in a some way that shouldn't have. Well that happened to me the other day. I went on and on for 5 minutes at my friend, who apparently didn't have the best day/morning so far. So, of course afterwards I felt really bad that I was being "mean" to him. 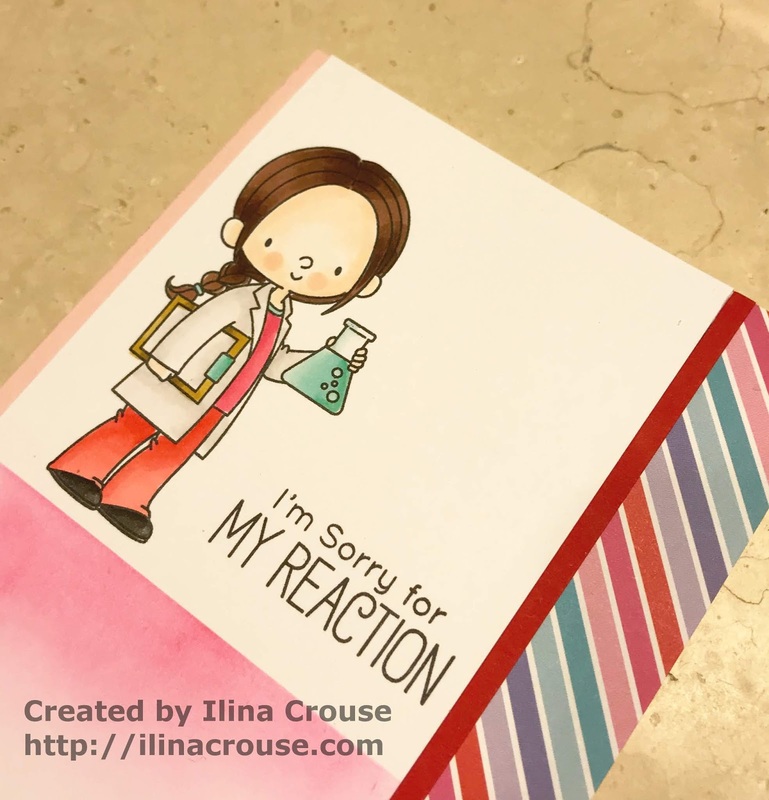 I thought this set called Cute Chemists from My Favorite things was perfect one to say sorry. To make my card I started with a panel of white card stock and lined up the image and sentiment in my MISTI and stamped once. I colored the image using alcohol based markers, and put it back in the MISTI and stamped one to two more times. Trimmed it down, masked the top using piece and card stock and the MISTI to hold it still (with magnet on top) and inked the bottoms part. I used the new patterned paper stack to add a strip to the side and then a strip of red card stock. Assembled the card onto pink card base. Both MISTI and MFT have give aways, Each company is giving away $50 gift certificate. Just leave a comment for a chance to win. 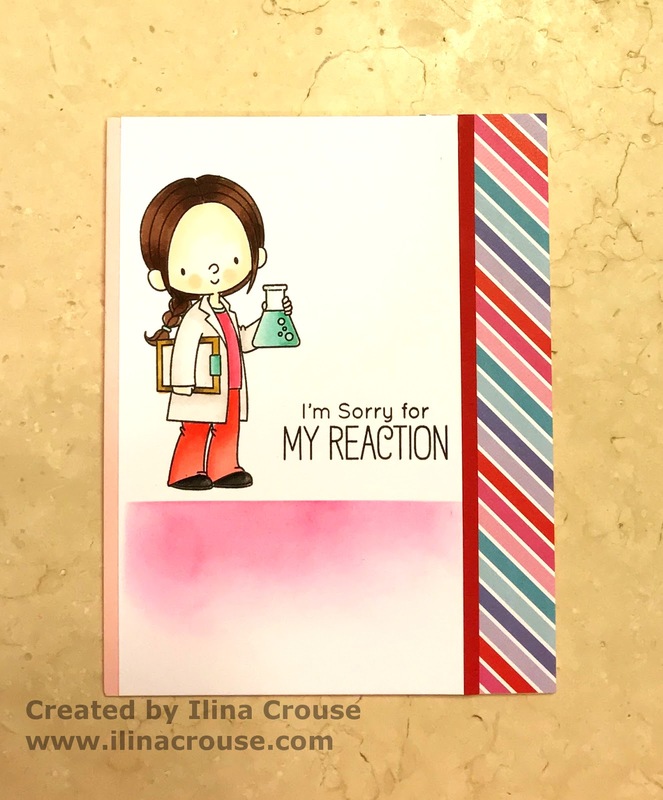 This is adorable Ilina, the Chemist set is so sweet. I am sure your friend will appreciate the thoughtful gesture. What an adorable way to say that you’re sorry! Thanks for sharing. So fun! Thanks for the inspiration! Such a cute set and sweet way to apologize. Thanks for sharing. Love this, such a great set! How cute!! Great card and your coloring is amazing, as always!! You gotta love the MFT sentiments! Super cute card... love the patterned paper!!! Love your card and coloring. Great images and design. Too sweet! I love this lady and how you colored her! The Chemistry set is darling! Cute little card! Thank you for sharing. So cute and great sentiment. Adorable card! Love the clean design and touch of patterned paper. I love this chemist set from MFT ...wonderful card. This chemist stamp set is adorable, as is your card. Thanks for the opportunity to win! LOve this stamp set & your card is adorable. Awesome card...love the sentiment. 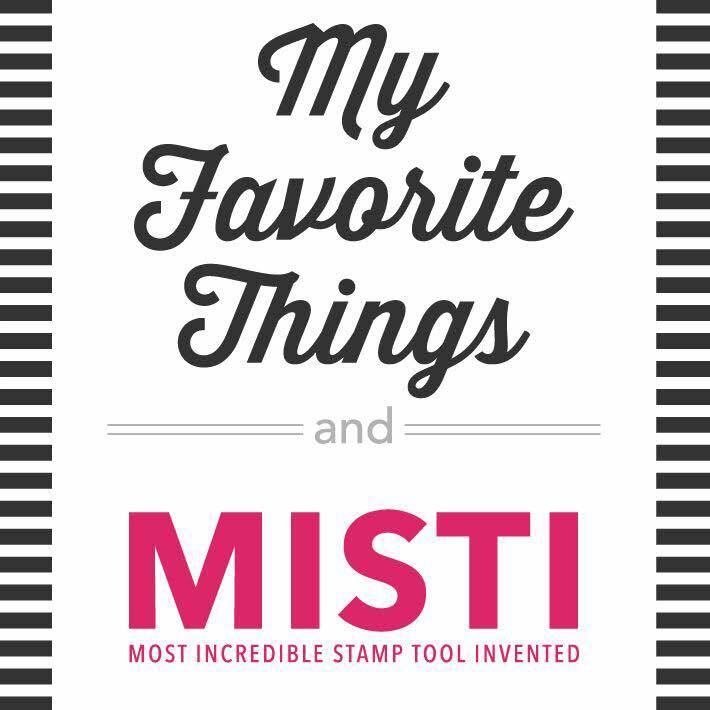 MISTI is a great tool to have or rather a must tool to have :o). Love your card, everything coordinates so well w/ the strip of paper down the side. So cute. 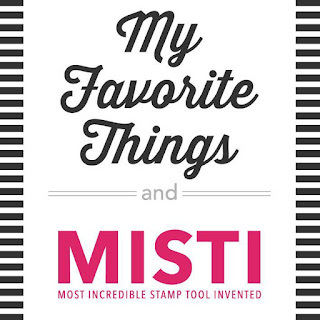 And I cannot imagine stamping w/o my Misti anymore. It's a must for perfect alignment! I love your chemist card. You can't have love without "chemistry"! Such an adorable card. Thanks for sharing a great way to apologize. Such a cute card! I also love this stamp set! She's so cute, with her pink cheeks. Nice job. Delightful colors! Thanks for the inspiration! Sweet card! I'm sure it helped to smooth things over! Cute card - love the tip about stamping again after you color! Love the chemist set! I just started stamping after I color as well and it really makes a difference! Adorable card! I love my Misti, best Christmas gift that I have received in a long time. Great coloring and I like the striped border. What an endearing apology card!